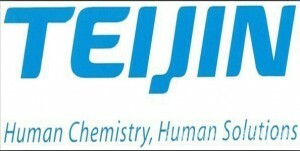 Tokyo, Japan, October 7, 2013 – Teijin Limited announced today that it has established a joint venture with South Korean chemical producer SK Chemicals to develop and sell polyphenylene sulfide (PPS) resins and compounds in Ulsan, South Korea. Construction of a 12,000-ton per annum PPS resin plant began on October 1. Teijin owns 34% of the new company, INITZ Co., Ltd., and SK Chemicals holds the remaining 66% share. Working in cooperation with Teijin and SK Chemicals, INITZ will start by providing samples to selected customers in the automotive and electronics fields.Focusing on customers especially in fast-growing Asian markets, it aims to become a world leader in PPS resin and compounds. A global market share of 20% and annual sales of 300 billion KRW (280 million USD) are envisioned by 2020. INITZ expects to produce the world’s first chlorine- or sodium-free PPS resins utilizing proprietary technologies of SK Chemicals.PPS resin, a super engineering plastic, exhibits excellent thermal resistance, chemical resistance, mechanical strength and dimensional stability. The demand for PPS resin is expected to grow in line with the increasing popularity of electric and hybrid vehicles and the ongoing expansion of electronics markets in emerging countries. With conventional PPS resins, chlorine and sodium from raw materials and byproducts remain in the resin, which can lead to the corrosion of molds and functional deterioration of metal parts, such as defective contacts. Also, chlorine has potentially harmful environmental effects if burned.Following formal establishment of the company on September 1, a groundbreaking ceremony held at the Ulsan plant on October 1 was attended by guests including the mayor of Ulsan and the chairman of the Ulsan city council. Teijin (TSE 3401) is a technology-driven global group offering advanced solutions in the areas of sustainable transportation, information and electronics, safety and protection, environment and energy, and healthcare. Its main fields of operation are high-performance fibers such as aramid, carbon fibers & composites, healthcare, films, resin & plastic processing, polyester fibers, products converting and IT. The group has some 150 companies and around 17,000 employees spread out over 20 countries worldwide. It posted consolidated sales of JPY745.7 billion (USD 7.4 billion) and total assets of JPY 762.4 billion (USD7.6 billion) in the fiscal year ending March 31, 2013. Please visit www.teijin.com.